Foster kittens are the house guests of your dreams. Not only are they adorable; they won’t cramp your space, raid your fridge, play loud music or party all night. See how you can open your home and heart—just once—to kittens in need. 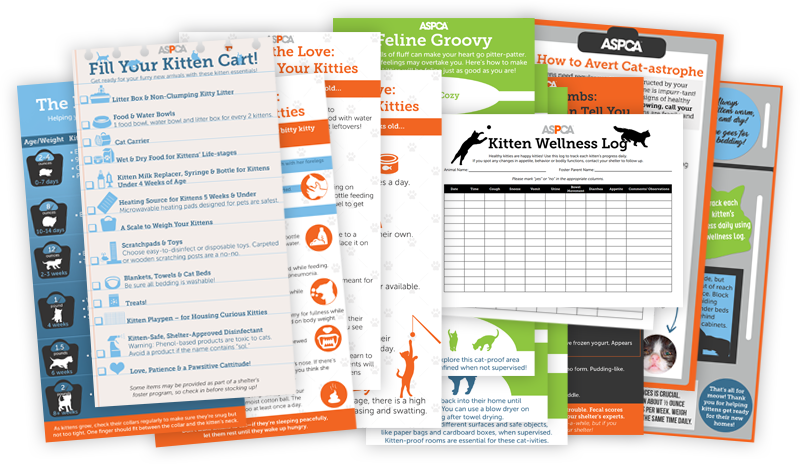 Then get access to your exclusive Kitten Care Pawckage, full of tips on fostering itty bitty kitties. Fostering saves lives! *Based on one home fostering kittens throughout an entire kitten season. Number of kittens available for fostering varies by area. Ready to Foster? Get Started Today! Shelters and rescues across the country need animal lovers to foster cats and kittens. We can only save as many lives as we have foster caregivers available. Find a participating shelter or rescue near you! Calling all NYC cat lovers: Animal Care Centers of NYC is looking for kitten fosters! Help make a difference for kitties in the city by signing up. Do you live in the Los Angeles area, love animals, and are able to temporarily care for animals in need? We urgently need kitten and cat fosters this kitten season – sign up today to save lives! Want to become a “Kitten Cuddler?” Miami Dade Animal Services is recruiting foster parents to help care for and feed the county’s young and abandoned kittens. Sign up today! Don’t Fall for Fake Mews! Don’t let myths get the best of you! Get the facts about kitten fostering as we break down common fostering misconceptions. Mama and True had a rough start when we first met them. But now, they are happy, healthy and looking for a loving home! Learn how the ASPCA is tackling kitten season with NYC’s first high-volume kitten nursery!